Jen has a lovely way with color and paper cutting, and this card is no exception. I'm a big fan of her graphic style! 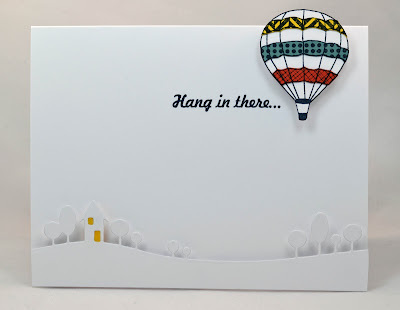 I wanted to keep lots of white with just a bit of color on the balloon. 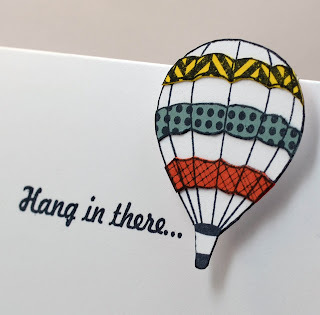 So I paper pieced the balloon with 3 different colors stamped in three different patterns. So much fun using all the background stamps that I've gotten recently. Across the bottom I used one of my favorite Memory Box landscape dies. I can't tell you how much I love that teeny house and those circle trees! Perfect - sometimes giving in to the 'add one more thing' urge wrecks it (always, for me) but this was exactly the right little thing!! I love that the balloon is heading off the top edge, and all the patterns/colours against all that lovely pristine white space. *happy sigh*. Actually I kind of envision myself hanging off your balloon there, since it looks a lot more peaceful than it does around here at the moment! Fabulous CAS card! Love the dimension. Thanks for joining us at CASE Study! 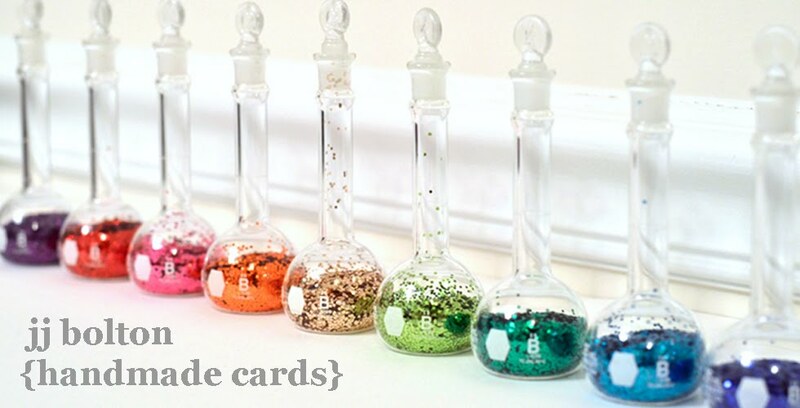 Oh wow, what a FUN card and great idea! 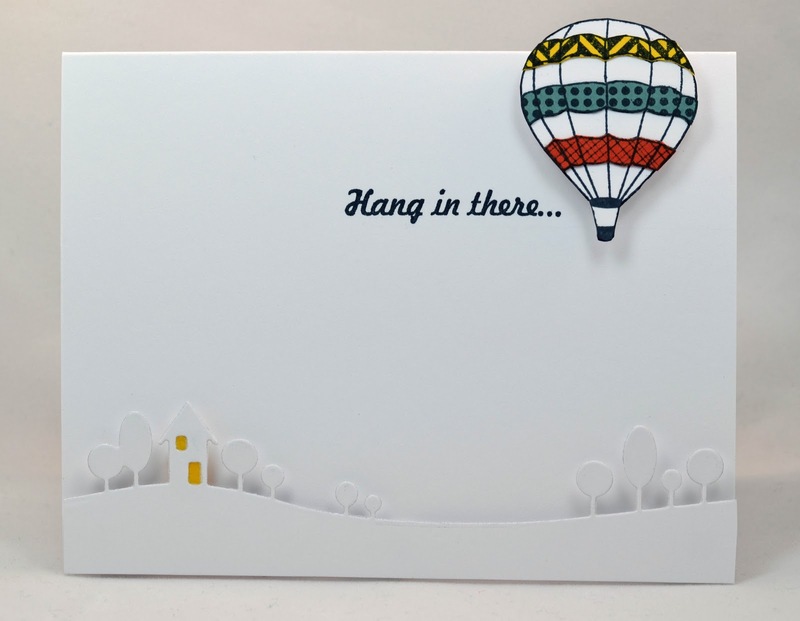 I LOVE that you resisted adding more to the card, it looks fabulous with all this white space! Oops! Just reread your post and realised you created your own pp! Even better! 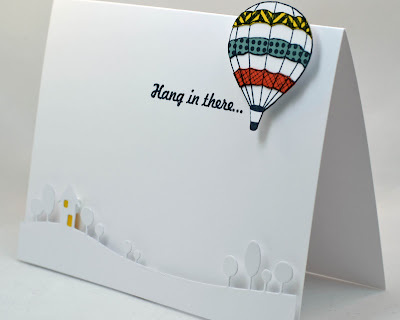 this adorable CAS card and love every sweet details on your card.. I love that landscape die with the lighted up house!! Perfect!!! JJ Congrats on your CASE WIN YEAHHHHHHHHH!!!! I don't know how I missed this one - won't happen again - officially signed up to follow via email! 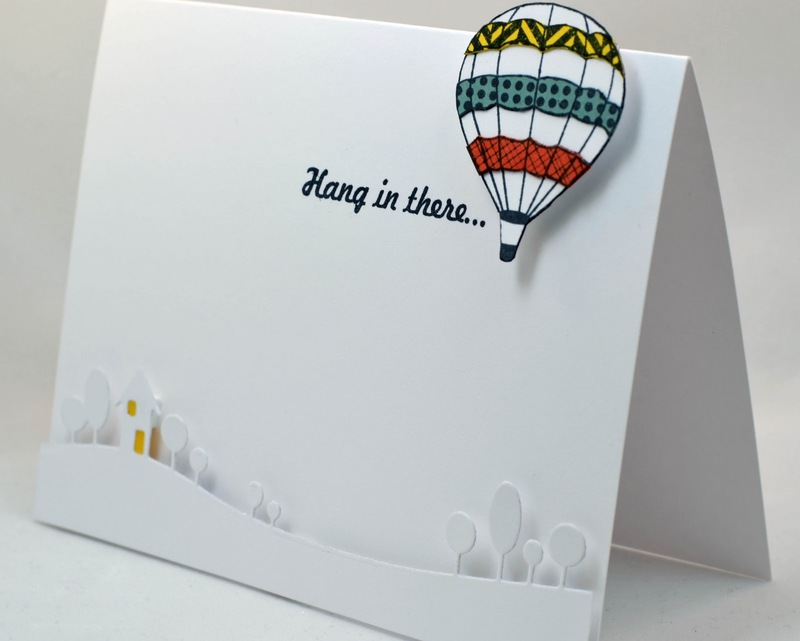 Love your card with the clean graphic style. The primary colors really shine! 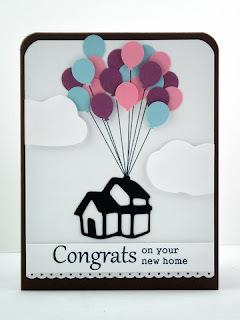 The border stamp is the perfect touch! Up Up and Away!! Stunning card, love the simplicity of it and that POP of color. Is the landscape design a punch, I love it? The landscape cut is actually from a memory box die. This one is called "modern landscape" and there's another one called "country landscape".